One of my favorite snack foods of all times is potato chips. Today August 24th you can celebrate potato chip day with a crunch of your favorite flavored potato chip. Whether barbecued, cheesy, sour cream and the list seems to never end and even includes plain potato chips which are often the flavor that I reach for the most. The inventor of the potato chip George Crum was the chef at a restraint resort in Saratoga Springs, New York. On August 24, 1853 he sliced his potatoes extra thin for a customer who had complained that his fried potatoes were soggy, The chef created these produced crispy and crunchy chips When this new potato dish caught on the potato chip was born. 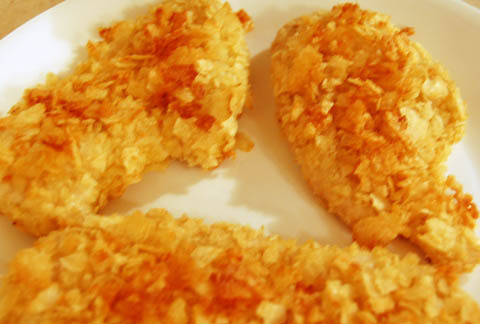 Grease a baking sheet and preheat the oven to 400 degrees F. Trim the fat off the chicken breasts, and beat the egg and milk together in a shallow bowl. Fold over the top of the potato chip bag and crush the chips with a rolling pin. For other creative ideas about using up leftovers and odd ingredients, you might enjoy visiting one of my favorite sites from the UK, Love Food Hate Waste (with much-appreciated quantities provided in imperial measure for us Yanks, too). Place peaches in bottom of pie shell. In a medium bowl, whisk flour, sugar, eggs, buttermilk, and butter. Stir in extracts. Pour mixture over peaches. Sprinkle cinnamon over pie. 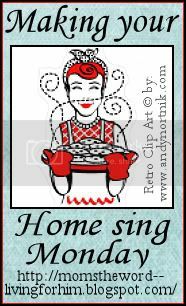 Place pie on baking sheet and bake at 350 degrees for forty minutes, or until the middle doesn't jiggle when moved. You can use 4 cups of sliced fresh peaches, peeled or 4 cups frozen peaches, thawed and drained in place of the canned peaches. What comes to mind when you hear the phrase, “Back To School?” Do you think of your very first day of school – or your child’s? Do you think of returning to school to pursue a basic or specialty degree, or of taking courses just for fun? Does a certain period of your life – or a special story – come to mind? Let’s explore what it means to go “Back To School” this week at Friendship Friday! How does it feel to send your children “Back To School”? If you’ve ever returned “Back To School” after a long absence, what was the experience like? Would you like to go “Back To School” to pursue a degree or to take some enrichment classes? Wow!!! What a great question for me it would be to come go back to school and finish my degree. I was in search of a degree in social work when I had to stop and pay more attention to my family. A spongecake without butter or oil? The cookbook Joy of Cooking shared just that. The recipe makes up a spongy, soft and very light cake that is what I consider delicious. The secret to this cake believe it or not is water. Today August 23 is the day to celebrate ride the wind day. Here in Illinois not too far from where I live there is a town Centralia Illinois that celebrates Hot Air Balloons. This past weekend you could have seen glorious balloons head upward into the sky as this festival once again was celebrated. Does your community celebrate riding the wind with hot air balloons, flying a kite, hand gliding, airplane show, or even take a ride this weekend with the windows down and the wind blowing through your hair. On this day to celebrate buttered corn I thought no better day than to also celebrate grilling corn and the sweet taste that can go with it. 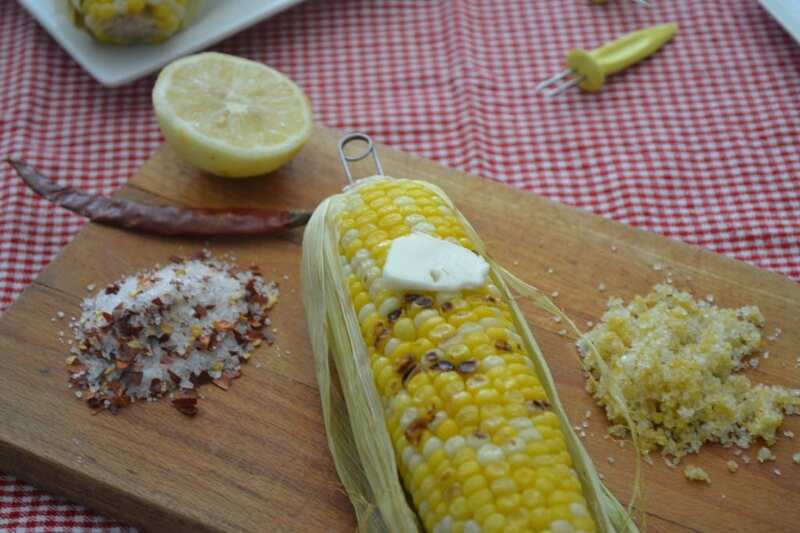 There are so many ways of fixing corn on the grill one of my recent most favorite ways is to add a bit of zest. Combine the finely grated lemon zest with the coarse sea salt in a small mixing bowl. Use a fork to stir the salt and zest together. Store in the refrigerator until ready to use. In a large pot, bring about half a potful of water to a boil. Add the peppers and boil for 3 minutes; drain. In the same pot, brown the hamburger, onion and garlic. Drain the fat and stir in the tomatoes and seasonings. Cook until the tomatoes are hot; remove from the heat and stir in the 4 ounces of cheese. Put the pepper halves in a greased 8x8" baking pan and fill with the meat mixture. Sprinkle the extra cheese on top, if using. Bake at 350º for 20-25 minutes. Join in the fun at Sarah's Blog of Fun and the back to School Giveaway Hop. Lots of great giveaways including a $25 gift card. Back in the day the land of southern Illinois was full of mines. I have read about salt mines and cola mines and mines of spar. I have heard stories of tunneling under the river and of the life that coal miners would have. There were gangsters that would make money off of these miners as they provided things that they could not find else where. The past of southern Illinois sounds a bit racy and a bit romantic as well but all of it definitely a hard life for many. I found an amazing sale on pork tenderloin and this week my family will find this dish from Sweet Tea and Cornbread. Oh how amazing the bacon and maple glaze sound to me. Yummy!!!! Mix 1 cup brown sugar, 2 Tbs. spicy brown mustard, 1Tbs. soy sauce, 1 Tbs. Worcestershire, 1/4 cup maple syrup. Remove the layer of fat on top of the pork with a sharp knife or most of it. Sprinkle it with salt, pepper and garlic salt. Pour the brown sugar glaze over the top. Cover with foil and bake for 1 hour at 375 degrees. Remove foil and with a spoon re glaze the top with the dripping in the pan. Recover and cook for 30 more minutes. Uncover and re glaze again with the pan juices, you can drizzle with more syrup if you like now also. Cook uncovered until bacon is brown and crispy... about 20 more minutes.